Wow, second best hostel I have ever been in worldwide in over 15 years of traveling on/off. It is more like a hotel, at the best location at the beach. The pillows are amazing, the mattresses are amazing and wide, the furniture is well chosen, also the bunk beds are stable and you don't have the feeling that the person on top is crashing down on you. The cleanliness is also extraordinary and the bathrooms contain designer furniture and even rain shower heads. The location is really fabulous! It's really a great place to stay. Very kind staffs, clean rooms and kitchen area. Importantly the hostel is situated in the city centre near the coast. Great hotel/hostel with good facilities and clean areas. Kitchen was maybe a little small during the busy times but it worked well enough. The owner was always friendly and offered help with everything that he could. Not a lot of atmosphere in this hostel but still met some excellent people anyway! 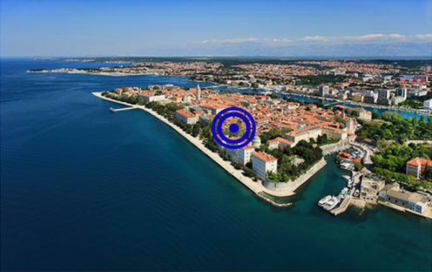 Great place in the heart of zadar. The showers were the best showers I have even been in in my whole life. I loved the location, right in the middle of the nightlife area with bars, nightclubs, as well as restaurants and the waterfront. The tooms have lockers, facilities are kept clean, staff are friendly and helpful. It’s not a social hostel with group activities or nights out, so it’s probably best for travelers in groups. The downside is the noise was a bit much at times since it’s right by everything. I’d stay again. Not really social but I loved my stay there. Would go back just to lay in their comfy bed again. Best bathroom I had my entire trip too. Great location and staff but absolutely no social atmosphere during my stay. Would recommend for couples but not solo travelers.